Whether you are moving locally or need nationwide moving services, Dussault Moving can provide all of the help that you need. The same family has owned this company for generations with all of their tips and tricks being passed down from one generation to the next. No job is too small or too big for these experts. They will be able to professionally pack and unpack your belongings while staying organized throughout the process. This company offers residential, commercial and even office and apartment moving services too. Roadrunner Moving is a local moving company that offers peace of mind when it comes to moving into a new home, commercial space or simply moving some of your things into storage. With over 30 years of experience, you can be sure that these experts know how to handle your possessions with the utmost care. They are able to quickly assess what needs to be done in order to move even the bulkiest items such as the furniture or even a piano. The search for moving companies in Cleveland, OH will be over as soon as you discover the affordable and reliable services of Fridrich Moving. This company has made a name for itself by being the moving company that can help clients with every stage of the process. From organizing, packing, moving, unpacking, and organizing again, these professionals have all of the expertise needed to execute the entire process quickly and efficiently. 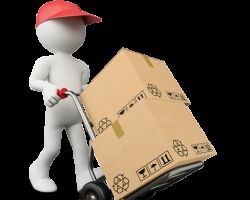 You can hire these house movers at relatively cheap prices for your next move. 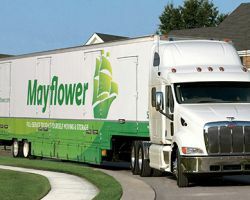 Local and long distance full-service Cleveland Movers serving customers in Ohio and beyond. Licensed, bonded and insured. 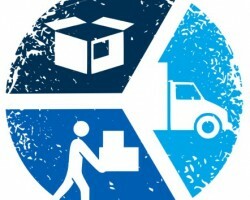 Moving labor, packing services, moving supplies and more. A+ Rated with hundreds of great reviews across the web. Get a free, no obligation moving quote and easy customer service process with low-pressure booking. Zero hidden fees, zero surprises! Locally owned and operated in Northeast Ohio by a Veteran of the United States Marines. The best thing about working with Moving Ahead Services is that you know you can trust the moving team to care for your belongings. 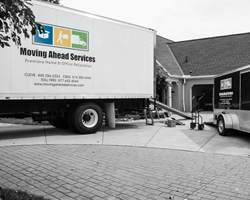 As Cleveland movers, the experts have worked for years to ensure they use the most efficient moving methods possible. This will save you time and money in the process. Reviews make it clear that having movers you can trust makes relocating to a new home or new area much less stressful than it would have been if you were moving your own possessions. Working with Armbruster Moving & Storage, Inc. means having the stress taken out of the moving process. This experienced moving team is licensed and insured so you can rest assured that each member has been vetted by the appropriate authorities. The technicians are always prompt and you can always depend on them to treat your belongings with care. 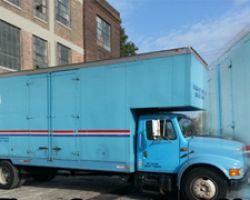 As movers and packers in Ohio, these experts ensure all of your belongings are accounted for in the moving process. Nothing will be lost or damaged when you have such a professional team on your side.